One of the great advantages of being in Hungary long-term, be it to live or because you are filming in Hungary, is that you get to become acquainted with local traditions and culture. And around the winter holidays this is particularly gratifying, because that means holiday food. Lots and lots of holiday food. This is especially fortuitous in Hungary, which in addition to having the most dynamic cuisine in Central Europe, is also known for its scrumptious holiday treats. In Hungary, holiday food is social currency. You give it to friends, colleagues, and of course family. But -- you may ask -- what makes Hungarian holiday food so special? Well we are here with a rundown on Christmas food from Hungary, and you can decide for yourself if it isn’t something really worth celebrating. So let’s have a look at a few of the delicious foods people who live in Hungary will be gorging on over this holiday season. First up is beigli (sometimes spelled bejgli). There can never be enough beigli around the holidays. 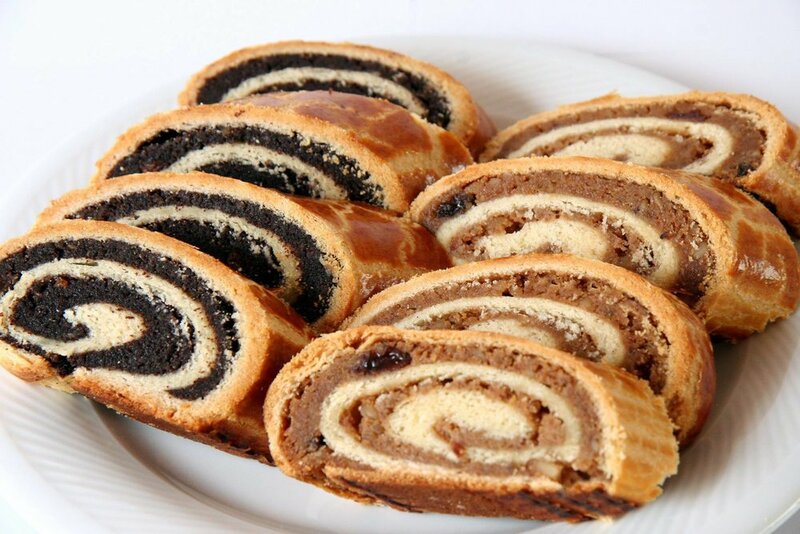 This loglike confection is actually a pastry that is rolled around a sweet filling, which in hungary is traditionally poppy seed or apple walnut, or just walnut, though in a quest to keep it current, various jams, nutella, and other off-the-cuff fillings can be found. Its distinctive egg glazing makes it attractive under the holiday lights. Though small in size, beigli is in fact quite heavy. The pastry is wonderful when eaten with both dry and sweet white wines, of which there are no shortage in Hungary. Mézeskalács, or in loose translation, Hungarian gingerbread, is also omnipresent, particularly in households and schools. Basically it’s a softer, airier, less aggressively spiced gingerbread that is shaped into cookie form and decorated with frosting. Of all the Hungarian holiday foods, this one benefits most from being home-made, as the store bought variety tends to dry out and not be as lovingly decorated. 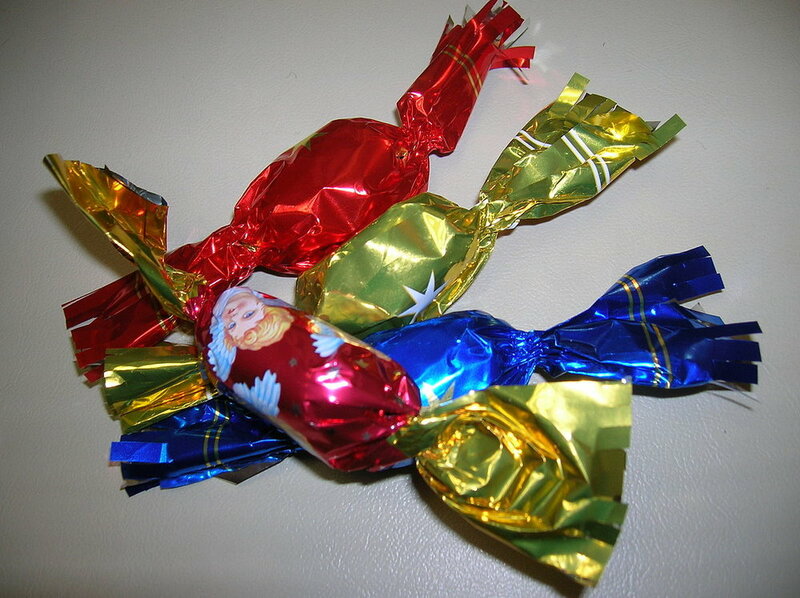 Finally, no Christmas is complete without szaloncukor - or ‘parlor candies’ - which are colorfully wrapped candies that double as Christmas tree ornaments. Fondant is the primary component of the sweet, which is then dipped in chocolate before being wrapped, usually in bright foil, to reflect the light of fire or Christmas lights. According to Wikipedia, almost a kilo and a half of szaloncukor are eaten per family each year around the holidays. Luckily, a plucky American vlogger went and put together a video of her favorite Hungarian Christmas foods, which you can watch below. Like with most such videos, her enthusiasm makes up for her ppronunciation. It’s good to be generous around the holidays when it comes to this and so much more. Eat Your Lentils, and Have a Happy, Lucky New Year!